FOR THE MOST part, Galway enjoyed a successful season in 2018. They went through their first top flight league campaign in seven years unbeaten up until the final defeat to Dublin. Kevin Walsh’s side won back their Connacht crown and advanced to the Super 8s where they enjoyed a victory over Kerry in Croke Park to confirm their status as genuine All-Ireland contenders. But Dublin ended Galway’s season in the All-Ireland semi-final with a nine point victory before going on to win their fourth title in-a-row. When Damien Comer assesses the year, he can see the progress that was made in 2018 although their summer exit still rankles with him. “Now that the dust has settled, you look back and try and assess the year,” Comer says. “I suppose if you look back, we retained our Connacht title and we went a step further than we had by reaching the All-Ireland semis for the first time. So looking back, it was a success. But still would have been bitterly disappointed not to have taken out Dublin or even challenge Dublin that bit more in that game. The full-forward feels had they been more accurate in front of the posts, they’d have come far closer to Dublin. “In the first half, we missed 1-6 or 1-7. I know, obviously, the penalty…you can miss them. “But we also had chances of kickable points and didn’t taken them – myself included. Against any big team, you have to be taking them if you want to have any chance of coming out the right side and we didn’t. “If we had taken them, we could have easily gone in three or four points up rather than two points down. So when you look back at that there’s no guarantee to say it would have been perfect and we’d have been four points up going into half-time. The departure of Galway coach Paddy Tally to take over Down has been viewed as a major loss for the Tribe, but Comer feels they’ll be able to deal with it. “It’s been lost in the media a bit, when Paddy came in and it was nearly ‘The Tally Effect’ but they tend to forget the work that Kevin and his backroom team have done since year one. Galway and Mayo have been kept on opposite sides of next year’s Connacht SFC draw and the neighbours could meet in a potential final if they make it that far. Comer expects Mayo to bounce back in 2019 under returning manager James Horan. “They’ll be eager to get back, it’s the first time they’ve been knocked out that early in championship in years. Look, it could be a thing that will do them well, their players are now well rested which they haven’t had in a long time. It could work well, the freshness of a new manager as well, I’m sure they’ll be eager to get their Connacht title back. 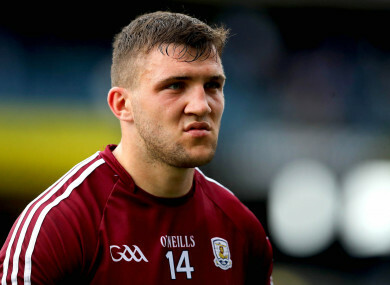 “You grew up watching the massive rivalries between the two and I suppose Mayo were dominant before Galway hit their purple patch in 1998 and 2001, they’ve often had battles up through the years. “When you grow up living and watching that, and I wouldn’t be awfully far away from the Mayo border, you work with a lot of Mayo people as well and there’s a good bit of banter there. Email “Comer still 'bitterly disappointed' Galway didn't put it up to Dublin in semi-final”. Feedback on “Comer still 'bitterly disappointed' Galway didn't put it up to Dublin in semi-final”.